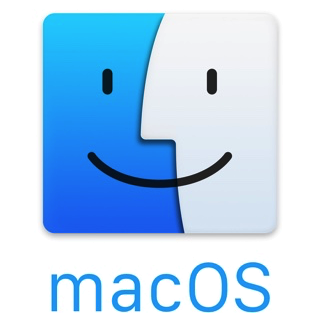 All apps are available on macOS app store! For most of today's digital cameras the photos are saved in JPG files. The date and time at which a photo is taken are stored along with the image in so called EXIF format. Such date and time information can be viewed on a PC once the JPG files are transferred from the digital camera to the PC. When you make a hardcopy of a digital photo by using a color printer or by sending it to a photo lab, the date and time do not get printed on the hardcopy photo. 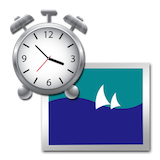 By using FotoTime, the date and time are extracted from the JPG files and superimposed onto the photos. This way when a hardcopy is made from the JPG file, the date and/or time will show up on the photo. Lotto Wizard uses advanced statistical analysis to select the most popular winning patterns consisted of active, average and passive numbers. 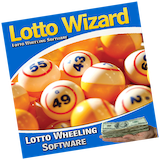 Our lottery software works with almost all lotto-type lotteries that draw 5-6 numbers out of a number pool from 1 to 99. It covers 180 major lotteries. Its build-in Suggested sequence Wizard lets you to select the best strategy for the next draw. The software will even: print your lottery tickets, create a wheeling system. iAction is a handy software that helps you automatically shutdown, power off, reboot, suspend or log off computers and executes AppleScripts at schedule time you specifies. 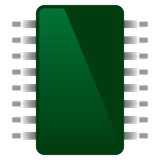 It can shut down computers at schedule time when no user is logged in or when computers are in suspended power conservation mode. It gives you different ways to schedule the shutdown event for your needs. Key features: Shut down, power off, reboot, shut down monitor, suspend or log off computers at schedule time. 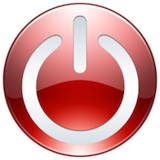 Shut down, power off, reboot, hibernate, suspend or log off computers at schedule time when no user is logged in Activate computers from suspended power conservation mode, and shut down, power off, reboot, suspend or log off computers at schedule time Different schedules to meet your needs. Customize countdown duration during shutdown. FreeMem is a handy tool that can increase your free memory with a simple click. It always monitors your memory usage in your menubar. Free system memory for better application performance. A quick and easy alternative to either a reboot or RAM upgrade to get defragmented free memory. If you are in the middle of using an application and the system becomes unresponsive for several seconds it could be the memory manager organising free memory for your application to use. FreeMem clears Inactive memory to help your applications avoid the performance hit you get when running low on Free memory. @ Copyright 2019 Kaisatec.com. All Rights Reserved.